(Central Islip, N.Y., Feb. 2, 2017) – The three-time Atlantic League champion Long Island Ducks today announced the signing of right-handed pitcher Tyler Wilson. He begins his first season in the Atlantic League and ninth in professional baseball. Wilson’s rights were acquired by the Ducks from the Ottawa Champions on January 24 in exchange for future considerations. He put together an outstanding year as Ottawa’s closer in 2016, ranking third in the league with 14 saves and fifth with 42 appearances. He also posted a 2.08 ERA and 60 strikeouts to 24 walks. The Georgia native went on to make five scoreless appearances in the postseason, striking out seven batters in six and two-thirds innings en route to winning the Can-Am League championship. Wilson also pitched for Ottawa in 2015, and in two seasons with the club, he combined for a 2.57 ERA, 15 saves and 113 strikeouts to just 41 walks over 74 games. 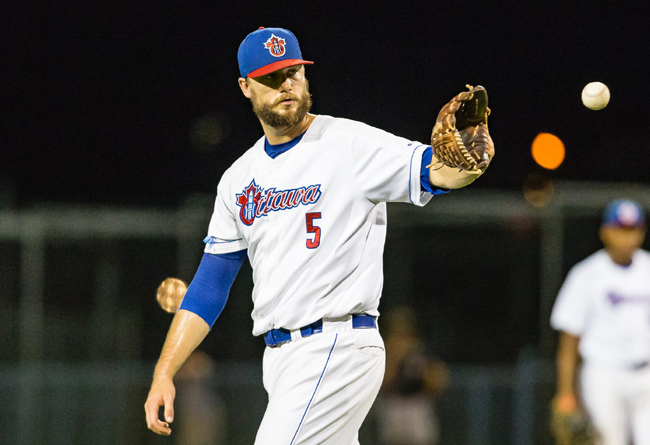 Prior to joining Ottawa, the 27-year-old spent two seasons as a starter in the Can-Am League with the Trois-Rivieres Aigles and also made one start with the Sussex County Miners. He began his career by pitching in the Boston Red Sox organization for four seasons as both a starter and a reliever, reaching as high as Single-A Greenville. The 6-foot-6-inch hurler has made 169 career appearances (59 starts) and has struck out 364 batters in 483 and two-thirds innings. Wilson was originally drafted by the Red Sox in the 13th round of the 2008 amateur draft.